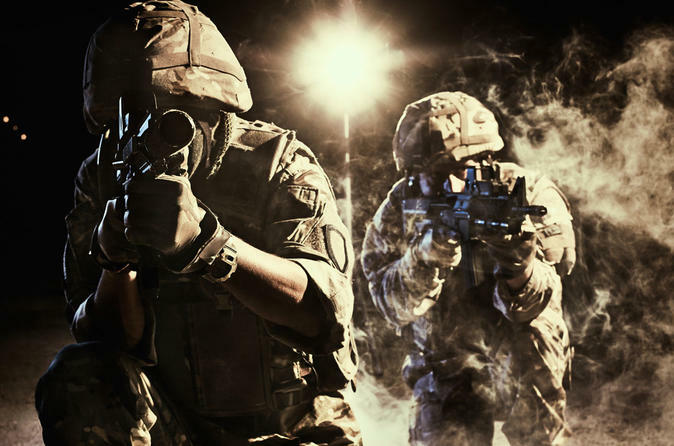 If some of you pastimes include dominating the your pals and opponents across the globe in the latest first-person shooter game, then get ready to take your firing experience to the next level. This shooting experience allows you to shoot the guns you fight with online, like the M4, MP5, AK-47, and Glock 17. Then take that knowledge online and dominate your favorite FPS games like Call of Duty, Counter-Strike, Medal of Honor and Battlefield. This gamers shooting package will put your skills to the test. Whether you’re a Call of Duty fanatic or you prefer the Battlefield franchise, you’re sure to recognize the guns featured in here. MP5: this ubiquitous submachine gun has also seen use by a large variety of organizations, including military personnel, law enforcement, intelligence and even private security. Glock 17: one of the most famous pistols, if you haven’t heard of Glock, maybe you shouldn’t call yourself a gamer. Please note: minimum age is 18 years. Hotel pickup and drop-off is available upon request.